3. Can I Gift Money to My Child & Then Use the Money to Pay for Their Private School Tuition? Among the many tax credits that the IRS extends to taxpayers is one that rewards your generosity to others. Whether you choose to gift your loved ones during or after your lifetime, you may be pleasantly surprised at the amount you can give – and others can receive from you – that’s totally tax-free. Gifts you transfer to others while you’re still living and inheritances you transfer to others after your death are collectively viewed by the IRS as qualifying for the unified tax credit. The unified tax credit can help lift the tax burden of federal gift taxes and estate taxes by combining these gifts into one tax credit. Each year, the IRS allows you a certain gift amount that is excluded from income taxes, fittingly called an annual “exclusion." And if you gift an amount that exceeds any of the annual exclusions, you still won’t owe income tax unless you also exceed a lifetime exemption amount. As long as the gifts you give during your lifetime and/or the inheritance you leave to others fall within these exclusion and exemption limits, you won’t have to pay a penny of income tax on your gifts, and neither will your heirs. The estate tax (also called the death tax or the federal inheritance tax) is assessed on anything you own at your date of death. Your estate also includes certain interests you have such as business investments and other assets. All of your qualifying property is called your “gross estate.” The IRS reduces your gross estate by factors such as your debts, mortgages and even your estate administration expenses to compute the net value of your estate, which is called your “taxable estate.” The IRS then adds any lifetime taxable gifts and computes the tax your estate owes. But as a final benefit, the IRS subtracts any available unified tax credit to further reduce the amount of your tax liability. After all these calculations, any amount you've gifted in tax year 2018 that exceeds the unified tax credit is taxed at 40 percent. Your definition of “gift” may actually be narrower in scope than the IRS definition. 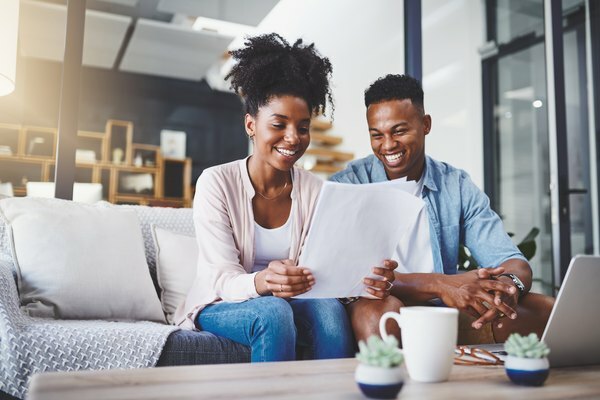 For income tax purposes, the IRS considers any “transfer” you make to someone as a gift, just as long as you don’t receive monetary reimbursement or some other type of compensation, either of which is less than the full value of the transfer. Even “reimbursement” has a broad definition in the eyes of the IRS. For example, reimbursement in terms of “money’s worth” also extends to goods or services you may receive. Examples of gifts include tangible assets, such as money, real estate and jewelry, and intangible assets, such as patents, copyrights and trademarks. And even if you simply forgive a debt that is owed you, the amount of the forgiven debt may be considered a gift. The IRS assesses a federal gift tax on the giver of a gift and not the recipient of a gift. So if you receive a gift – no matter how expensive – you owe no income tax on it; it’s yours, free and clear. The gift tax depends on the type of a gift, the amount of the gift and the time frame of the gift. Even if the giver of a gift doesn’t intend for a transfer to be a gift, the IRS still considers the transfer as a gift. And if you sell something for less than its full value, you may be giving a gift. Annual Exclusion. For tax years 2018 and 2019, the annual tax-free gift limit is $15,000. But if you're married, this number doubles to $30,000. So, for example, you can give your child a tax-free gift in 2018 of $15,000, and your spouse can also give your child a tax-free gift of $15,000 in the same year. But you can also give $15,000 to an unlimited number of people during the tax year, whether they're related to you or not. Lifetime Exemption. Recent legislation with the Tax Cuts and Jobs Act significantly increased the amount of the tax-free lifetime gift limit beginning with tax year 2018. Compared to the 2017 annual exclusion of $5.49 million, the 2018 exclusion jumped to $11.18 million. Just like the annual exclusion guidelines, this amount represents your lifetime tax-free gift limit; if you're married, your spouse can also give $11.18 million. If, for example, you give someone a $20,000 gift in 2018, the first $15,000 of the gift fulfills your annual exclusion, but you still won't owe tax on the additional $5,000. That amount goes toward your lifetime exemption amount. It's only if you exceed your lifetime exemption amount of $11.18 million that you'll pay tax on any overage. Gifts to an IRS-qualified charitable organization. Gifts to pay someone's medical expenses, if you pay the medical provider directly. Gifts to pay someone's tuition, if you pay the school directly. And if you pay your grandson's tuition, which is covered under the unlimited gift allowance, the amount of the tuition does not count toward your annual exclusion or your lifetime gift exemption amounts. The instructions for IRS Form 709 (United States Gift and Generation-Skipping Transfer Tax Return) list guidelines for eligible medical and educational costs. Visit IRS.gov/forms to find this form. The IRS does not require taxpayers to report any gifts that fall within the annual exclusion limit. However, if you exceed a per-person annual exclusion, you'll have to report the overage on IRS Form 709. But reporting any annual exclusion overages does not mean you'll pay tax on the overage. Form 709 simply keeps track of any gift amounts that go toward your lifetime exemption. If you're married, you'll have to file a separate Form 709 from your spouse. File Form 709 with your IRS Form 1040 tax form. Beginning with tax year 2018 for returns you'll file in 2019, the 1040 has a new look. It consolidates the former 1040, 1040-EZ and 1040-A into one concise form. For your gift to be tax-free, it must have "present interest" and not "future interest." A gift recipient must have immediate access to your gift (present interest), with no time-limiting conditions placed on it, which would make it future interest. Are Gifts to Education Funds Exempt From Gift Tax?